Town called Hadley which is located in upstate north east new york. Our family consists of some little furbabies, a.k.a kikimons, and our two dogs. my writing technique and to test my limits. Once you my future readers get to know me you will notice I am a minimalist. 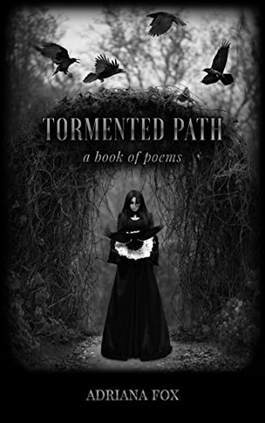 This is a collection of poems created throughout the dark times in my life. As such, I caution readers beforehand to keep in mind this was an accumulation of my writings over the years. I have been to many dark places in my mind numerous times and was able to vent through poetry since it often reflects best when it is displayed from your rawest emotions. Just know I did not proceed to act out these feelings, but rather put them on paper, and let the emotional escape take hold. This leads me to a better place that I needed to be in life in order to succeed and reach out to complete my dreams. Just cause you are on a tormented path now does not mean it will always be that way, in fact, you will surpass it, and move towards a brighter future. It all started with an invitation that both Raide Savio and Miss Alexis Skye decide to accept, putting them face to face with each other and setting their souls on fire. When Raide offers for Alexis to stay with him in Transylvania, she happily accepts and begins to pay him in an unusual manner; with her body. They leave each other breathless in unimaginable ways, but when the lycan, Gavin, steals Skye away, Raide will do anything to get his soul's desire back and claim her as his. But will he be too late?